Dr Syedmohammed Suhail, a Master of Orthopaedic Surgery (MCh Orth) Dundee graduate in 2012, has been accepted as a member of the Academy of Clinical Educators (ACE) as a Senior College Clinical Educator. 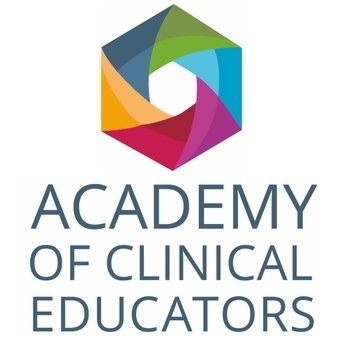 The Academy of Clinical Educators, at the Royal College of Physicians and Surgeons of Glasgow, is committed to ensuring the highest standard of educational delivery and good practice. It is equally committed to supporting, mentoring, and ensuring trainer recognition for those involved in the delivery of academic programmes, in addition to extending trainer development opportunities. According to the President of The Royal College of Physicians and Surgeons of Glasgow, Professor David Galloway, ACE constitutes one of the most exciting developments to happen within the College this year and demonstrates the commitment of RCPSG to fostering and supporting best practice in both trainer development and trainer course provision. Professor Rami Abboud, Director of MCh (Orth) Dundee and Associate Dean for Learning & Teaching, stated: “It is great testament to Dr Suhail’s passion for educating others that he has been selected as a Senior College Clinical Educator at ACE. We know that studying the MCh (Orth) degree here at the University of Dundee has complimented his existing skills that will help him in his new role. Dr Suhail’s research was on 'Assessment of talipes equino varus treated by Ponseti technique' under my direct supervision and he was awarded the David Rowley Presentation Skills Award for his student group. We all wish him every success at ACE”.